According to a report in Oriental Daily, the woman took to her Facebook to admit that it was her mistake to "block" the parking spot by standing over it. Said to be a beautician at a salon, she was overheard describing the driver of another car recording the video as "stupid" because he did not speak Mandarin. 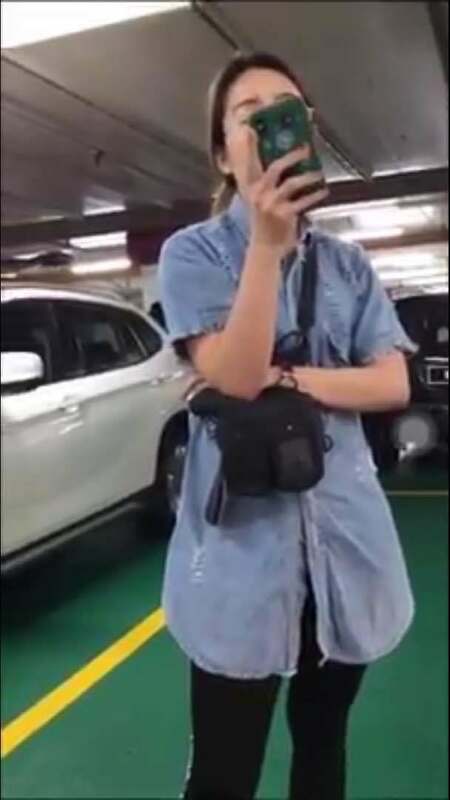 In the video, which has since been deleted by the uploader, she could be heard telling the driver that he has "no manners", to which he replies, saying, "No manners? Then what about you? You stand over here. You're not a car. You're a person." 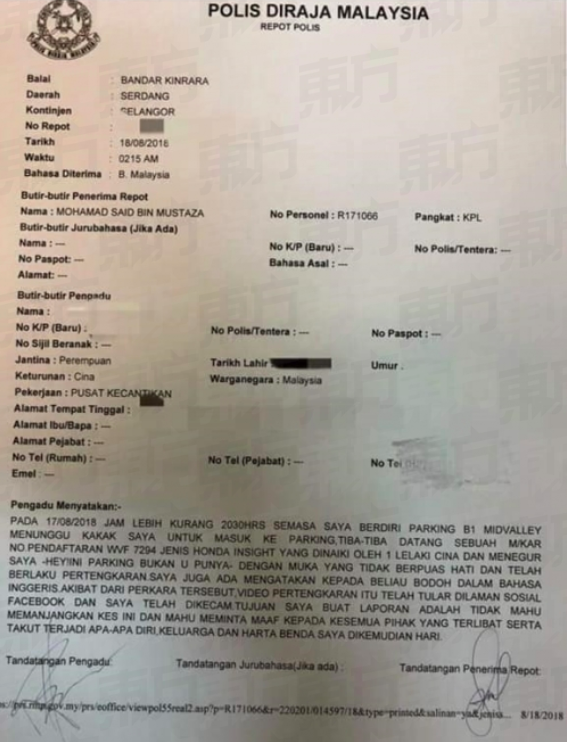 Oriental Daily reported that the woman later shared the police report on her Facebook profile, where she also apologised for the incident. She also insulted the driver of another car for not speaking in Mandarin. The man works as a bank repossessor. It's all about the money, money, money.